The No. 74 Mike Harmon Motorsports team that competes in the NASCAR Nationwide Series has been penalized for a rules infraction committed during a Sept. 26 practice at Dover International Speedway. The infraction is a P3 level penalty as outlined in Section 12-4.3 of the rule book and violates sections 12-1: Actions detrimental to stock car racing and 20A-2.3A: Added car weight. Weight not properly attached. Weight fell out during the event. As a result of this violation, crew chief Gary Ritter has been fined $10,000 and placed on NASCAR probation until Dec. 31. NASCAR also announced that William Coralline, a crew member in the NASCAR Nationwide Series, has been indefinitely suspended for violating the sanctioning body’s Substance Abuse Policy. On Sept. 24, Coralline was found to have violated Sections 12-1 (actions detrimental to stock car racing) and 19 (violation of the NASCAR Substance Abuse Policy) of the 2014 NASCAR Rule Book. Richard Petty Motorsports and Biagi-DenBenste Racing will partner to enter Corey LaJoie in four of the final five NASCAR Nationwide Series races this season. LaJoie will pilot the No. 98 Medallion Financial Ford owned by Biagi-DenBenste Racing in the events at Kansas Speedway, Charlotte Motor Speedway, Texas Motor Speedway and Homestead-Miami Speedway. LaJoie, who is a development driver for RPM, has one win in the NASCAR Whelen Southern Modified Series, five wins in the NASCAR K&N Pro Series East and three wins in the ARCA Racing Series. The son of NASCAR champion Randy LaJoie, Corey has five starts in NASCAR's national series, with a Top-10 finish in the NASCAR Camping World Truck Series earlier this year at Bristol. "I have to thank both RPM and Biagi-DenBenste Racing for giving me the opportunity to put four races together in the Nationwide Series," said LaJoie. "This is a very good car with good people supporting it. They are a proven team that is capable of finishing in the Top-Five. These races will be another great opportunity to advance my learning curve on the bigger tracks and with cars with more horsepower." 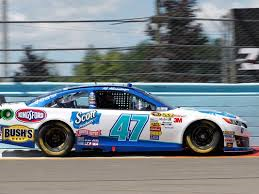 Biagi-DenBeste Racing has made 11 starts with a best finish of fourth scored by David Ragan. 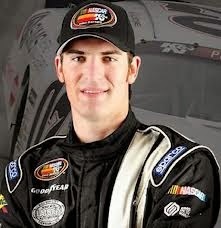 RPM driver Aric Amirola has most recently raced the car at Chicagoland and Dover. LaJoie has one start with the team this season and finished 15th at the Kentucky Speedway. "Corey has shown that he learns very quickly on the track," said Fred Biagi Co-Owner of Biagi-DenBeste Racing. "Our first race together we finished 15th in only his second Nationwide Series start. We feel that we can compete in the Top-10 and Top-Five in these four races with Corey and that's our goal." 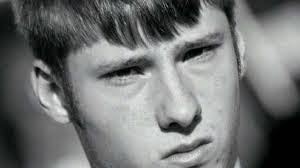 "First and most importantly, I want to say that no matter what people think or say, our family does not need others to determine what we feel or know about Kevin Ward Jr. He is our blood, our friend, our champion. Always has been and always will be. What I want people to understand are the questions. Why was the toxicology report even an issue? Seems to me the wrong man was on trial. 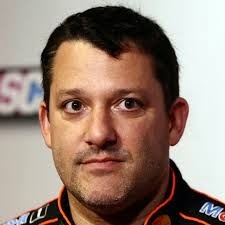 Tell me why Tony Stewart was not taken in for testing, why his car wasn't impounded. Tell me how a man the size of Kevin can make a sprint car turn to the right on impact. Tell me how a lap before (the incident) everything was fine, but the following lap was poor lighting. Tell me how a NASCAR star totally forgot what caution means. Maybe he should get a different headset so he is able to hear on the radio that the car in caution is up high, so go low. Or was he low until he rounded the corner and saw Kevin Jr. standing up for himself? I guess we will never know why all of this was not taken into consideration. Or will we never know why a fellow driver did not check on this young man or his family? Or do we know why? I do, because I have seen the video. It's there, and it's real. I can't speak for others. These are my opinions and concerns. I only hope some people take a minute to make sure they have done no wrong before throwing stones. This means nothing to me, but I want to say it is my understanding that pot stays in a person's system days, weeks, possibly months. Rumor has it that it may be legalized and prescribed for some patients, so then will these people have their drivers' licenses taken away because it makes you react – supposedly -- in a certain way? To me, that's not the case. It's known to mellow a person. We understand that the report showed marijuana, but we as a family don't believe he was under the influence or impaired at the time due to the 10 hours prior to the race that he spent with the family. What we do believe is that maybe people react to certain situations because of anger. I've seen it in NASCAR, sports functions and even on our own roads. And yes, these people have to pay for their actions. Well, I guess it depends on who you are. And to end this, I've heard time and time again, "We just want Kevin's story out there." Here you go. 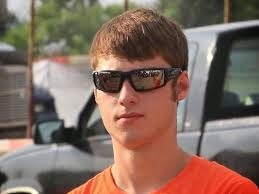 Kevin Ward Jr. was an amazing person. His life was wrapped around family, friends and racing, which he started at age 4. Just a small-town boy having fun until the days turned into years, and it then became his passion and life. The trophies, plaques and pictures that fill his home, garage and workshop show his hard work and dedication to racing – his love for the sport. Through it all, he had the support of his family and friends behind him. He opened his life to our community. As you would go by the shop where he and his dad worked on the car for the upcoming race or after a race, the doors would be wide open and there would always be people in and out wishing him luck, sharing a story, offering a hand or simply just standing there in their own way saying, "We're here for you, bud." It took a lot of money to live his dream, and as a family, they were able to do that. But not once did he ever think he was better than anyone else because he could afford it. That was proven when somewhere around 1,500 people came out to support and comfort us on our darkest days. It shows how many hearts and lives he touched. The orange, white and black that was worn in honor of our champion sprint car driver was overwhelming, to say the least. The tracks that have since honored Kevin Ward Jr. with memorial events, his name in the ESS (Empire Super Sprints) Hall of Fame, the many lives that have been changed forever – that's all because of one person's love and respect for others. And that, to me, is what a person is made of. His smile will forever be what gets us through. Godspeed, No. 13. Aunt Wendi loves you." 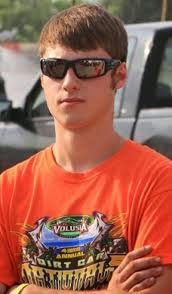 The aunt of Sprint Car driver Kevin Ward, Jr. insisted yesterday that her nephew was not under the influence of marijuana at the time he was struck and killed by a car driven by former NASCAR Sprint Cup Series champion Tony Stewart. In an open letter provided to USA Today, Wendi Ward disputed toxicology reports and a statement by Ontario County (NY) District Attorney Michael Tantillo that Ward, Jr., had enough marijuana in his system to impair his judgment at the time of the Aug. 9 incident at Canandaigua Motorsports Park. “(Marijuana is) known to mellow a person," she wrote. "We understand that the report showed marijuana, but we as a family don't believe he was under the influence or impaired at the time, due to the 10 hours prior to the race that he spent with the family." She also repeated her earlier claims that Stewart was careless, or intentionally attempted to intimidate her nephew on the night of his death. "Tell me how a NASCAR star totally forgot what ‘caution’ means," she wrote. "Maybe he should get a different headset so he is able to hear on the radio that the car in caution is up high, so go low. Or was he low until he rounded the corner and saw Kevin Jr. standing up for himself?" Sprint Cars are not equipped with two-way radios allowing drivers to communicate with their pit crews. Stewart was cleared of any criminal charges last week, after a grand jury declined to hand-down an indictment after deliberating for less than an hour. He may still face a civil lawsuit, however, with Ward’s mother vowing recently to "pursue all remedies in fairness to Kevin." Stewart: Life After Ward's Death "Not Business As Usual"
Tony Stewart spoke publically today for only the second time since the Aug. 9 incident at New York’s Canandaigua Motorsports Park that claimed the life of driver Kevin Ward, Jr.
A subdued Stewart spoke for more than 30 minutes and took questions from the media. And while declining to speak specifically on the circumstances surrounding Ward’s death, Stewart said his life has been changed by the incident. Despite returning to NASCAR competition after a self-imposed, three-week hiatus, Stewart said life has “not been business as usual, by any means." He said he has remained secluded in his home for days at a time, often not leaving his bed. Asked what he would do differently, he replied, "I'd have stayed at Watkins Glen that night (of the accident). It wasn't a big-paying race. I just wanted to go run my Sprint Car for a night. “I do it to have fun and it didn't end up being fun that night." The three-time Sprint Cup Series champion backed away from his earlier comments to the Associated Press, saying there is a possibility he will compete in open wheel Sprint Cars again one day. "I love what I do," he said. "I love driving race cars. I think it might change as far as how much of it and what I would do, (but) that would take a lot to stop." Stewart said he is surprised that he continues to be criticized in some corners, despite a grand jury’s recent decision not to file charges against him in Ward’s death. In his words, "picking sides doesn't solve or fix anything. It's a waste of time. “Initially, I was hurt by some of the things I read,” said Stewart. “But then I looked at who they were, and it's people that never met me, never spent time with me, don't know me. ...They were people that didn't like me to begin with and it didn't matter what the facts were. He also said he has given little thought to a toxicology report that found Ward to be under the influence of marijuana at the time of the incident saying, “That detail didn't mean anything to me. It was an accident. All along, I knew what had happened. I would be lying if I said there wasn't a piece of relief (in the decision not to indict), but that was very short-lived in my heart. It went right back to the fact that we lost Kevin. We lost a young driver that had a lot of talent." He also said he is thankful for the encouragement he has received from sponsors, friends and fans of the sport, adding, "I think the support we have from fans… (has) been very comforting for us and for me. I've appreciated their support and how they welcomed me back. “I thought I accidentally walked out in Dale Jr.'s spot," said Stewart of driver introductions at Atlanta Motor Speedway. "It was very overwhelming (and) I'm glad I had sunglasses on. It was probably the most flattering and humbling part of my career, to walk out there and have that kind of reception. Kevin Harvick captured his seventh pole position of the 2014 season today, turning a fast lap in 22.095 seconds, at 162.095 mph to earn the top starting spot for Sunday’s AAA 400 at Dover International Speedway. “It is exciting,” said Harvick after his fast lap. “These guys do an awesome job in preparing the race cars. Our first time here this year, we struggled after we unloaded a little bit, but had it good by Saturday. We unloaded really good this time and it has carried through the weekend. “It is going to be a good deal to have the first pit stall,” said Harvick, who has never started on the pole at Dover in his 14-year Sprint Cup Series career. “The good pit stalls are typically on that (Turn One) end of pit road, and if you wind up having to get out of your pit (when) guys are still coming in… it is hard to get out of your stall. So, I’m really excited." Kyle Busch qualified second, followed by Joe Gibbs Racing teammate Denny Hamlin, Brad Keselowski and Jamie McMurray. Jeff Gordon, Kyle Larson, Jimmie Johnson, Clint Bowyer and Austin Dillon completed the Top-10. Despite being a comfortable third in the Chase standings, Harvick said his strategy for Sunday’s race is “to try to win. That’s really the thinking at this particular point. Points-wise, we feel like we’re in good shape and we just want to keep building on the momentum we have to try to further that to lead into Kansas. 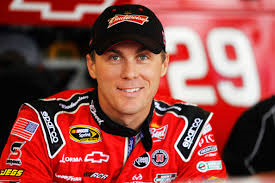 “It’s been an amazing year for everybody on our Budweiser Stewart-Haas Racing Team,” said Harvick. “They do a great job in preparing the race cars and put a lot of effort into qualifying, and it’s translated into a lot of good finishes. We’ve just got to keep doing what we’re doing. 25 88 Dale Earnhardt Jr.
Jamie McMurray failed to qualify for the 2014 Chase for the NASCAR Sprint Cup, despite a solid, Top-10 finish in the final regular-season race at Richmond International Raceway. Since then, the Joplin, Mo., driver has added two more Top-10 performances at Chicagoland and New Hampshire, prompting many to wonder whether he might have challenged for the Sprint Cup title, had things gone just a little bit different in the months of August and September. McMurray said his 2014 success – and that of rookie teammate Kyle Larson – has been ever more gratifying than the 2010 season, when he won most of the sport’s premiere events. “The part that I am most encouraged about is that in 2010 -- when we won the (Daytona) 500, the Brickyard, Charlotte and Watkins Glen -- there were a lot of unknowns. Why? Why were we running so well? They really hadn’t changed a lot from 2009, and 2010 was just a really good year for us. Some of it had to do with the engines, as I think the ECR engines were the best at that time. But there were a lot of unknowns at our shop (about), ‘Why are we running so much better?’ Then we went through a tough couple of years. 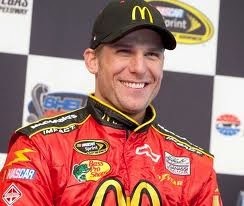 McMurray said he is confident that a revised rules package for the season will not slow his team’s roll. Allmendinger: "I Care About This Team So Much"
AJ Allmendinger and JTG Daugherty Racing were a longshot to qualify for the 2014 Chase For The NASCAR Sprint Cup. A win at Watkins Glen International in early August got that job done, however, and now, the “Little Race Team That Could” is one race away from advancing to the Contender’s Round. After a disappointing, 22nd-place finish in the Chase opener at Chicagoland Speedway two weeks ago, Allmendinger righted the ship with a solid, 13th-place showing in New Hampshire last Sunday. A similar result this weekend at Dover International Speedway should advance the No. 47 Hungry Jack Chevrolet into the rarified air of NASCAR’s second playoff round, and Allmendinger said today that his team is up to the challenge. The California native said he and his team must continue to elevate their performance, if they hope to advance to the next round. “We just have to run better,” he said. “Last week was a decent run, but we have to go out there this weekend, make sure we maximize every lap we are on the race track and get our car good for Sunday. Whatever happens in the race happens. I’m not going to worry about who is around me in points or anything like that. I just want to go out there and give everything I have. At the end of the day, if it is enough to make it to the next round, then great. If not, that’s all we can do. 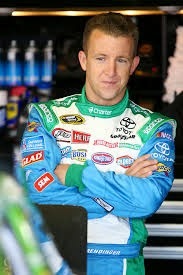 “We work hard,” said Allmendinger. “We have a lot of great partners, (but) we are a small team. We don’t have the biggest budget in the world. Tad and Jodi Geschickter and Brad Daugherty -- especially Tad and Jodi -- this is their life. When it comes to this race team, I care more than I ever have, because I feel like it is my team. I see on a daily basis what Tad and Jodi go through to make sure (that) all of us on this race team have what we need to go out there and be our best. “Because of that, I take everything to heart, whether we run well or run bad. I take it personally. I care about this team so much. What Tad and Jodi have done for me on the personal side -- the relationship I’ve built with them and to be part of their family -- that is what I take to heart. 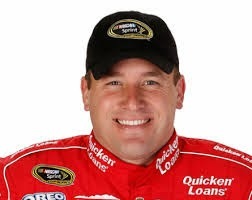 Detroit-based Quicken Loans has announced it will return to Richard Childress Racing in 2015, serving as a primary sponsor of driver Ryan Newman and the No. 31 Quicken Loans Chevrolet for selected races. The 2015 season will mark the fourth year Quicken Loans has teamed with Newman. "We're looking forward to partnering with RCR and Ryan in the upcoming season and continue this strong partnership," said Jay Farner, President and Chief Marketing Officer for Quicken Loans. "In the meantime, we'll be cheering on Ryan and the No. 31 team as they make a run in this year's Chase." "It is great to have Quicken Loans back with me next year," said Newman. "They have been loyal partners for several years and have become like family to me. As I continue to push forward in the Chase, it gives me increased confidence to know I have partners and friends that are standing with me not only this year, but also beyond." "Quicken Loans has been a tremendous addition to the RCR family this year," said Richard Childress, Chairman and Chief Executive Officer of RCR. "We are excited to be so closely aligned to a partner that values collaboration, technology and speed as much as we do." Today also marks the start of Quicken Loans' "Drive Home a Winner" sweepstakes, which awards one lucky winner both a brand-new Chevrolet SS and a year's worth of mortgage payments. The sweepstakes, open to those 18 and older, is a collaboration between General Motors and Quicken Loans. To enter, visit www.qlracing.com. Team Penske has signed multiple-race winner and 2014 NASCAR Chase for the Sprint Cup contender Joey Logano to a contract extension. Under the new multi-year agreement, Logano will continue behind the wheel of the No. 22 Shell-Pennzoil Ford Fusion in the NASCAR Sprint Cup Series and the No. 22 Discount Tire/Hertz Ford Mustang in the NASCAR Nationwide Series for Team Penske. Already a seven-year NASCAR veteran, the 24-year-old has proven to be an elite driver. 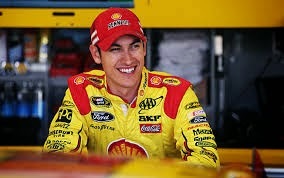 Throughout the course of his career, Logano has produced seven NSCS wins and 21 NNS victories. Since joining Team Penske at the start of the 2013 NASCAR season, Logano has enjoyed the best two-year stretch of his young career, earning five NSCS wins and three NNS victories. The native of Middletown, Conn., has earned a spot in his second-consecutive Chase for the Sprint Cup in 2014. His four NSCS wins – at Texas Motor Speedway, Richmond International Raceway, Bristol Motor Speedway and New Hampshire Motor Speedway – reflect a career high in race victories for one season. Those wins, along with a career best 12 top-five and 17 top-10 finishes through the season’s first 28 races driving the Shell-Pennzoil Ford Fusion, helped Logano earn the fifth seed to begin the Chase playoff format. In addition to his success this season, Logano helped Team Penske secure the 2013 NASCAR Nationwide Series Owner’s Championship with three series wins. 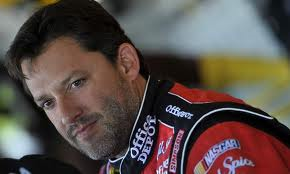 An Ontario County (NY) grand jury declined to indict former NASCAR Sprint Cup Series champion Tony Stewart today in the death of Sprint Car driver Kevin Ward, Jr. Ward’s family, however, seems determined to press onward with a civil suit against Stewart. A statement from the family sent to various media members today said, “Our son got out of his car during caution when the race was suspended. All the other vehicles were reducing speed and not accelerating except for Stewart, who intentionally tried to intimidate Kevin by accelerating and sliding his car toward him, causing the tragedy. 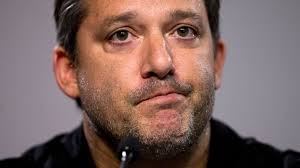 Tony Stewart will not face criminal charges as a result of the death of driver Kevin Ward, Jr. at Canandaigua (NY) Motorsports Park last month. 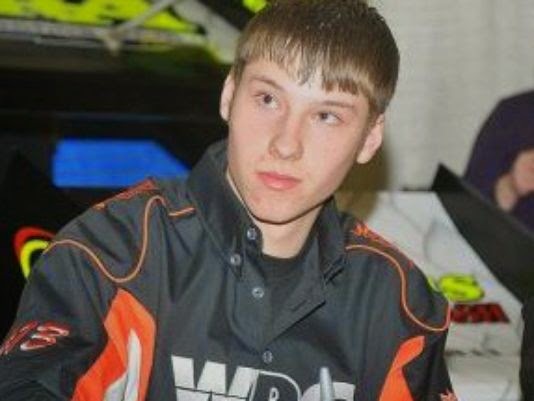 Ontario County District Attorney Michael Tantillo announced today that a Grand Jury has ruled that Stewart was not at fault when his Sprint Car struck Ward after the 21-year old driver walked across the racing surface following a crash. “During the course of the grand jury presentation, approximately two dozen witnesses testified,” said Tantillo. “These included a number of race-car drivers, race track employees and volunteers, two accident re-constructionists, medical personnel and a number of police officers. The grand jury reviewed a number of photographs and video recordings, as well as other documentary evidence. In addition, toxicology reports showed that Ward was under the influence of marijuana at the time of his death, with Tantillo saying, “the levels were enough to impair judgment.” A drug assessment expert spoke to Stewart following the incident and found “no basis to believe there was alcohol consumption or impairment by drugs in Stewart’s case. The Grand Jury considered two possible charges against Stewart; second degree manslaughter and criminally negligent homicide. Only 12 votes from the 23-member grand jury were needed to indict on either charge. Stewart said in written statement that “This has been the toughest and most emotional experience of my life, and it will stay with me forever. I’m very grateful for all the support I’ve received and continue to receive. I respect everything the District Attorney and Sheriff’s Office did to thoroughly investigate this tragic accident. While the process was long and emotionally difficult, it allowed for all the facts of the accident to be identified and known. Yesterday, NASCAR announced more than 60 different updates to its national series rules package for 2015. Included in those changes were a reduction of horsepower to 725 by implementing a tapered spacer, legalization of roller valve lifters and lower rear differential gear ratios targeting 9,000 RPM. 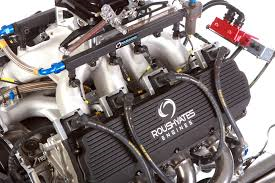 Roush Yates Engines CEO Doug Yates says those changes will result in a long offseason of work for Sprint Cup Series engines builders. “We’ve got a lot of work ahead,” said Yates. “The engine configuration as we know it is going to change considerably, and what that means is a different camshaft. They’re going from flat tappet to roller lifter, which is a step in the right direction for longevity. But the cam design, the cylinder head, intake manifold and exhaust system – all of those things that are related to air-flow – (are) going to have to be developed and tested over the winter to have a package that’s ready to go race next March in Atlanta. At the same time, they’re reducing the horsepower target (by) 125 and they’re also reducing the RPM from 9,500 today to 9,000 RPM going forward. 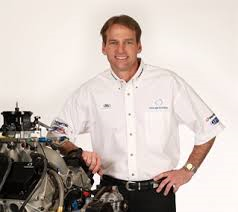 Yates said his father, legendary NASCAR engine builder and crew chief Robert Yates, foresaw NASCAR’s move toward reduced horsepower many years ago. “He was a big proponent of less power, smaller engines and more production-based engines,” said Yates. “I would say he was ahead of his time on this one, for sure. For an engine builder to talk about less power isn’t a very popular subject. It’s our job to continue to make more. We love more and more power, but at the end of the day, this is a competition. It’s a sport and it’s probably not wise for these cars to be running around at some of the speeds we are. This is one of the moves that Brian France and NASCAR feel is a step in the right direction and we’ll see how it goes. NASCAR has announced a series of updates to its national series rules packages for 2015. The sanctioning body said the rules were formulated with the goals of enriched competition, improved safety, reduced cost, enhanced product relevance and environmental (green) improvements in mind. Most notable on the list of changes are a NASCAR-mandated ban on all team-initiated private testing, along with the deletion of NASCAR Preseason Thunder testing at Daytona International Speedway. Teams will still be invited to participate in periodic NASCAR and Goodyear tire tests, but will no longer be allowed to test on their own, regardless of venue. Qualifying formats have been updated for all tracks. On short and intermediate tracks, qualifying will consist of three rounds: 15 minutes, 10 minutes and five minutes, with short breaks between rounds. On superspeedways, the field will be split in “A” and “B” qualifying groups, with each group receiving a pair of five-minute qualifying rounds, with breaks between rounds. For the first time in history, the season-opening Daytona 500 will also feature a group qualifying format. On road courses, qualifying will consist of two rounds: 25 minutes and 10 minutes, with a break between rounds. § Reduction of horsepower to 725 via tapered spacer. § Roller valve lifters to replace flat valve lifter. § Lower rear differential gear ratios targeting 9,000 RPM. § Rear spoiler adjustment from 7.25 inches to 6 inches. § Optional driver adjustable track bar. § 38-inch wide radiator pan. § 50-pound reduction in minimum vehicle weight from 3,300 to 3,250 pounds (w/o driver) via ballast reduction. 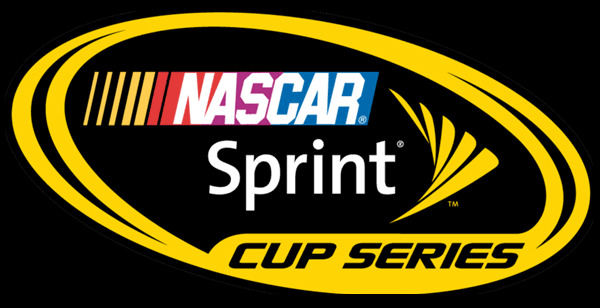 In addition, rain tires will be utilized when necessary in NASCAR Sprint Cup Series road course events, along with mandatory windshield wipers, defogger and rear flashing rain light. These changes bring the series in line with the NASCAR Xfinity Series and NASCAR Camping World Truck Series. NASCAR also announced newly approved brake calipers for 2015, as well as a new parts approval process. The sanctioning body will also offer an electronic rule book next season. Waltrip Confirmed For "Dancing With The Stars"